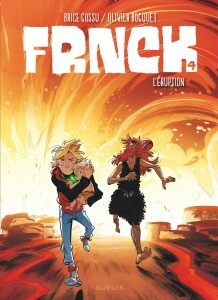 Author Olivier Bocquet has worked as a highway gas station attendant, an events photographer, the manager at a restaurant in Montmartre, a deliveryman, a translator, and even a chick-sexing specialist. 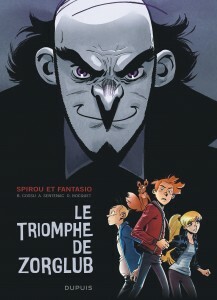 In addition to these occupations, he has written programs for children’s television channels, created previews for TV shows, written a short film, worked on advertisements, and completed a prize-winning thriller novel called “Turpitudes” (2010). 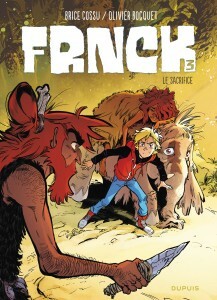 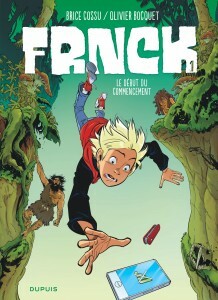 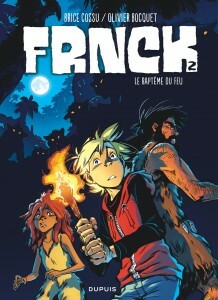 Today, Olivier Bocquet writes comics, including the three-part series “La colère de Fantômas” (Dargaud 2013) and the acclaimed prehistoric adventure series “FRNCK,” published by Dupuis starting in 2016 (“FRNK,” Europe Comics, 2017).